HENDERSON, NV. VadaTech has announced its first pre-configured Application-Ready Platform (ARP) for Mil/Aero applications. 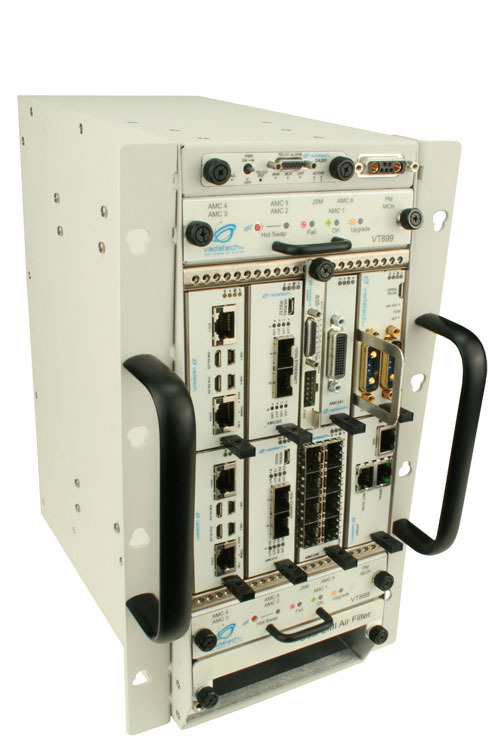 The ARP200 for Mil-sensor processing delivers high data rates and front-end deterministic processing. The ARP200 utilizes five AMC515 FPGAs, one AMC713 Freescale PowerPC P5020 processor, one MicroTCA Carrier Hub (MCH), and one power module. The ARP200 includes a Virtex-7 FPGA as a default, but has standard options for Kintex, Artix, and Zynq chipsets. The ARP200 also has a standard PowerPC P5020 Advanced Mezzanine Card (AMC) processor, but Intel and Cavium-based processors can also be implemented. The ARP200 is approximately 12.25” tall x 5” wide x 9” deep. 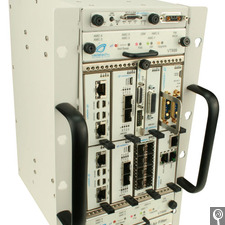 The six-slot ARP200 has a redundant push-pull cooling in a front-to-rear airflow configuration in the chassis, and includes a JTAG Switch Module (JSM) for testing and development. For more information, visit www.vadatech.com.